inspired by a desire to make a difference in the broader world. 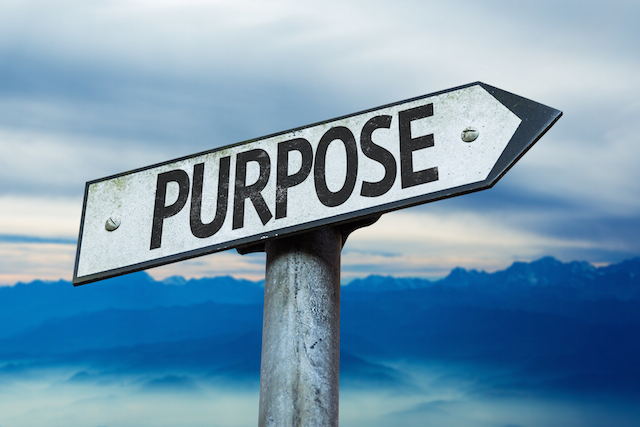 In one of the first great works regarding purpose, Viktor Frankl proposed in Man's Search for Meaning that everyone has a desire to develop a sense of purpose in life and that those who did not develop a purpose became existentially frustrated and faced many negative consequences like depression and engaging in risky behavior. This led to more research on purpose, which has shed light on what having a purpose in life means. Damon, W., Bronk, K. C., Porter, T. (2015). Youth Entrepreneurship. In R.A. Scott and S. M. Kosslyn (eds.) Emerging trends in the behavioral and social sciences. NewYork: Wiley Publishers. Hunt, D. & Bronk, K. C. (2015). Classroom management as a moral enterprise. In W. G. Scarlett (Ed.). Classroom management an A-Z guide. Sage Publications. Bronk, K. C. & Riches, B. (in press, 2015). The role of purpose and moral development in hero formation. In S.T. Allison, G. R. Goethals, & R. M. Kramer (Eds.) Handbook of heroism and heroic leadership. New York: Routledge. Bronk, K. C., & Baumsteiger, R. (under contract, 2015). Purpose in the third decade. In L. Padilla-Walker & L. Nelson (Eds.). Flourishing in Emerging Adulthood: Positive Development during the Third Decade of Life. New York: Oxford University Press. Bronk, K. C. & Mangan, S. (under contract, 2015). Therapeutic implications of developing a purpose in life during adolescence. In P. Russo-Netzer, S. Schulenberg, & A. Batthyany (Eds.) Meaning in Positive and Existential Psychotherapy. New York: Springer Publishers. Bronk, K. C. (2013). Purpose in life: A component of optimal youth development. New York: Springer. Bronk, K. C. (2011). Adolescence. In S. Goldstein & J. Naglieri (Eds. ), Encyclopedia of child behavior and development. (pp. 45-48). New York: Springer. Bronk, K. C. (2010). Adolescent development. In A. Davis (Ed. ), Handbook on pediatric neuropsychology (pp. 45-57). New York: Springer. Bronk, K. C. (2010). Educating for Good Work. In H. Gardner (Ed.) Good Work: Theory and practice. (pp. 213-226). Cambridge, MA: GoodWork Project. Lies, J., Bronk, K. C., & Mariano, J. M. (2008). The community contribution to moral development and character. In D. Narvaez and L. Nucci (Eds. ), Handbook on moral and character education. (pp. 520-536). Mahwah, NJ: Lawrence Erlbaum Associates. Damon, W. & Bronk, K. C. (2007). Taking ultimate responsibility. In H. Gardner (Ed. ), Responsibility at work: How leading professionals act (or don’t act) responsibly. (pp. 21-42). San Francisco: Jossey Bass. Bronk, K. C. & Dubon, V. (in press, 2015). Fostering purpose in educational settings. International Forum for Logotherapy. Bronk, K. C., Riches, B., Mangan, S. (in preparation, 2015). Claremont Purpose Scale: A new measure that assesses all three dimensions of purpose. Bronk, K. C., King, P. E., & Matsuba, K. (2013). The exemplar methodology. In K. Matsuba, K., P. E. King, & K. C. Bronk, (Eds.) New Directions for Child and Adolescent Development, 142, 1-12. Bronk, K. C. (2012). A grounded theory of youth purpose. Journal of Adolescent Research, 27, 78-109.http://dx.doi.org/10.1177/0743558411412958. Bronk, K. C. (2011). Portraits of purpose: The role of purpose in identity formation. New Directions for Youth Development, 132, 31-44. Bronk, K. C., Finch, W. H. & Talib, T. (2010). The prevalence of a purpose in life among high ability adolescents. High Ability Studies, 21, 133-145. Bronk, K. C. & Finch, W. H. (2010). Adolescent characteristics by type of long-term aim in life. Applied Developmental Science, 14, 1-10. Bronk, K. C., Hill, P., Lapsley, D., Talib, T., & Finch, W. H. (2009). Purpose, hope, and life satisfaction in three age groups. Journal of Positive Psychology 4, 500-510. Bronk, K. C. (2008). Humility among adolescent purpose exemplars. Journal of Research on Character Education, 6, 35-51. Damon, W., Colby, A., Bronk, K. C., & Ehrlich, T. (Summer, 2005). Passion and mastery in balance: Toward good work in the professions. Daedalus: The Journal of the American Academy of the Art and Sciences 134, 27-35. Damon, W., Menon, J. L., & Bronk, K. C. (2003). The Development of purpose during adolescence. Applied Developmental Science, 7, 119-128. http://dx.doi.org/10.1207/S1532480XADS0703_2. Bronk, K. C., Riches, B., Mangan, S., & Baumsteiger, R. (Nov., 2014). Prospection and the Role of Future-oriented Thinking in Moral Development. Paper presentation for the Association of Moral Education. Pasadena, CA. Riches, B. Bronk, K. C., & Mangan, S. (Sept., 2014). Authentic Purpose Scale: A New Scale Assessing all Three Construct Dimensions. Poster presentation for the Western Positive Psychology Association. Claremont, CA.